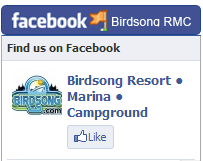 Birdsong Resort • Marina • Campground and TN River Freshwater Pearl Museum, Tour & Pearl Jewelry Showroom were so happy to host Honey Tours from Henderson, KY! Thank you for visiting with us! 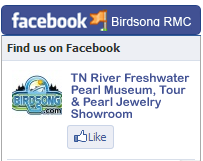 Birdsong Resort • Marina • Campground and TN River Freshwater Pearl Museum, Tour & Pearl Jewelry Showroom were so happy to host A&B Tours! Thank you for visiting with us! The LBL Lakes Region Coalition had a pearl of a time at Birdsong Wednesday, October 10. Bob and staff hosted the LBL Lakes Region Coalition of Peoria, IL on a pearl tour. Birdsong Resort • Marina • Campground and TN River Freshwater Pearl Museum, Tour & Pearl Jewelry Showroom were so happy to host Steady For Life all the way from Huntsville, AL! They enjoyed a full tour, with Jon the Diver showing them the birth of a pearl. Thank you for coming and letting us show you the life of a pearl! Had a great time with the Memphis Conference United Methodist Church Retiree Association. We had awesome weather for a Civil War history tour on the Tennessee River.